About 800km west of Tokyo lies Mizuno Technics where you will find the the Mizuno Golf performance wing, YORO Japan. Within this custom workshop are a group of highly skilled and very specialised golf club technicians, The Meisters. There are a number of levels of club maker at Mizuno. The general golf club assembly line who work the main floor. The Craftsman, who are the main group of guys in the workshop, they oversee high end club making and the specialised build end of the factory. They have their own workshop area and generally work on Tour professionals clubs and high end performance golf products. Then there are The Meisters. Highly skilled and treated like gods among the clubmaking staff. They have to take special exams, can grind and build a full set of steel iron head from blocks of steel and are recognised as true experts in the world of clubmaking. As the head clubmakers, the Meisters wear special jackets with Meister badges stitched to it. In the WorkShop, their distinctive aprons ensures their ranking is clear to everyone. On a muggy overcast afternoon in May, Don and Derek were privileged to be invited to a very special meeting at the YORO factory in Hiroshima. 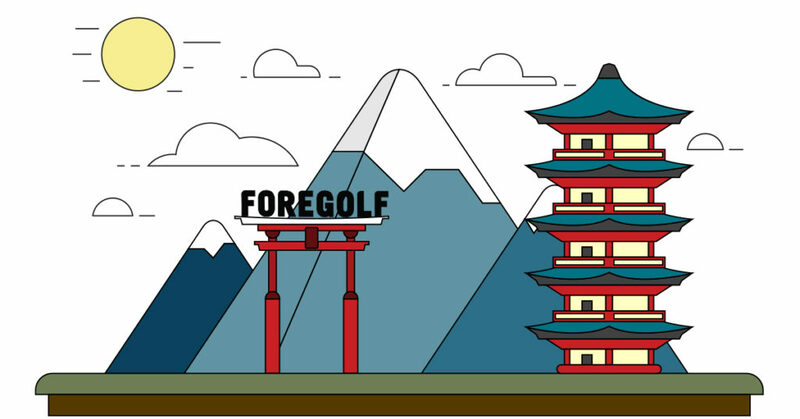 Which is home to Mizuno’s exclusive forging facility since 1968. After a full tour of all the facilities, there was a very formal gathering of Japanese industry experts. The President of YORO, Takashi Ito and Head Meister, Turbo (the man behind the equipment used by Faldo, Woosnam and Seve to name a few). Tony Scott (Head of Mizuno Marketing for Europe) was on hand to help with the interpretation of what was about to take place. YORO President, Mr. Ito stepped forward and presented Don with the highest stripe in the YORO Factory, a Meister apron. To signify his 20 year contribution to the world of clubmaking and said that he’s believes that Don has Meister blood in him. 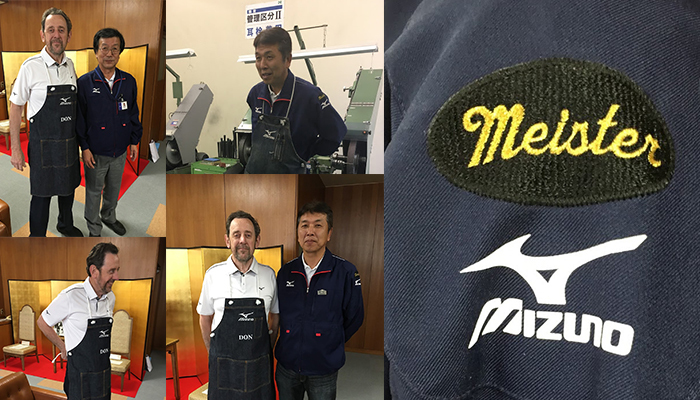 A true honour for Don and quite humbling, that one man in a small workshop in Ireland is being recognised by The Mizuno Meisters as one of their own. They even went a step further and had his name stitched into the apron so there can be no mistake, that Don is the man.